When you are opening a new venture, or simply revamping an old one, it is important to make sure you have clear advertising to ensure maximum attention from customers. 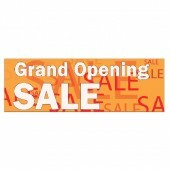 Grand Opening Banners from Discount Banners are the perfect way to ensure you get your message across. 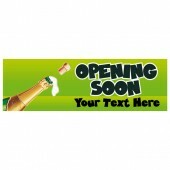 We provide a wide range of pre-designed Grand Opening Banners for you to choose from. 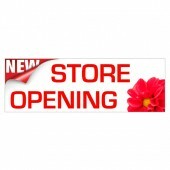 Our Grand Opening Banners are available in either 8’x2’ or 10’x3’ depending upon your needs and are printed in-house using the latest in printing equipment and high quality, eco-friendly inks to produce a stunning full colour result. 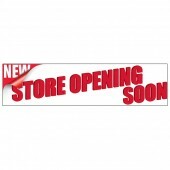 Our Grand Opening Banners will be with you 2-5 days after your order has been placed.